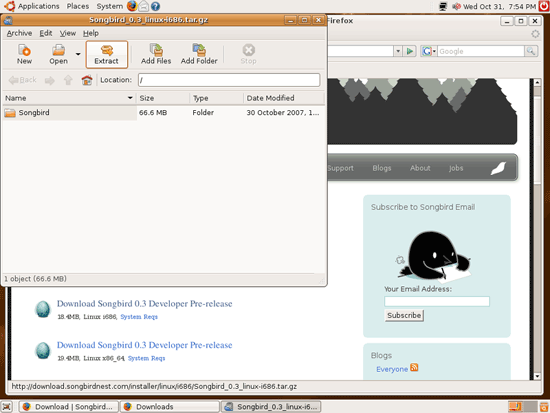 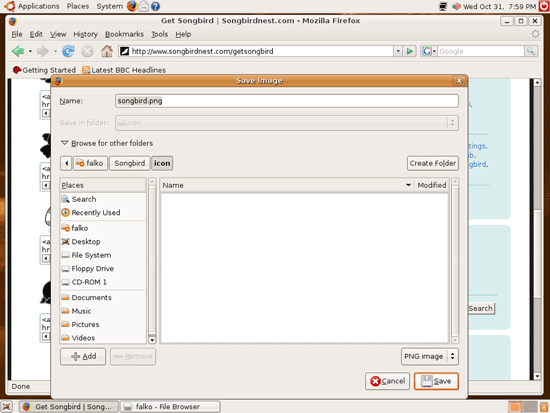 This guide shows how to install the Songbird media player (0.3 Developer Pre-Release) on an Ubuntu 7.10 (Gutsy Gibbon) desktop. 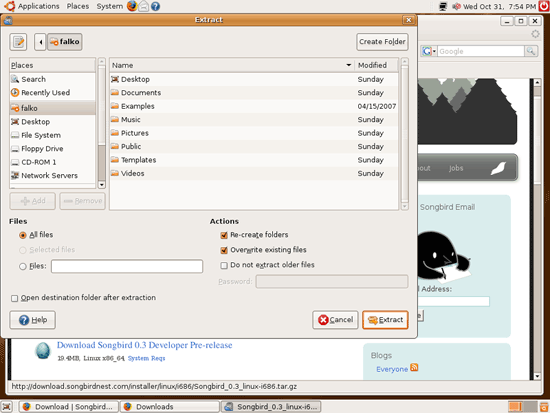 Songbird is a free software audio player with media database capabilities written using XUL and VLC, with an interface similar to Apple's iTunes. 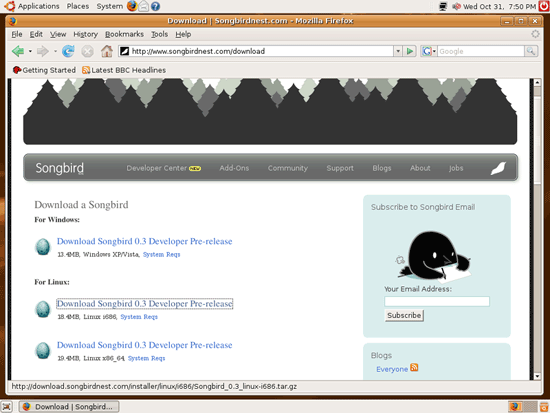 From the Songbird web site: "Songbird is a desktop media player mashed-up with the Web. 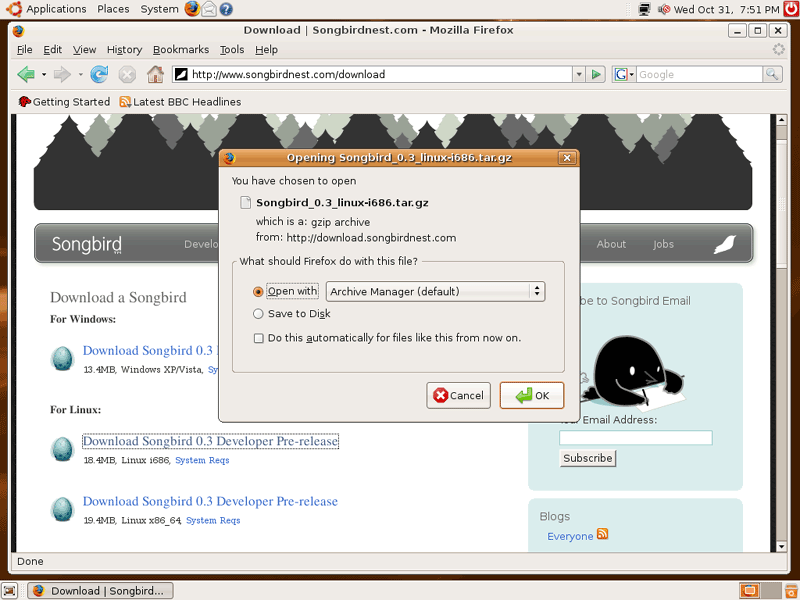 Songbird is committed to playing the music you want, from the sites you want, on the devices you want, challenging the conventions of discovery, purchase, consumption and organization of music on the Internet." 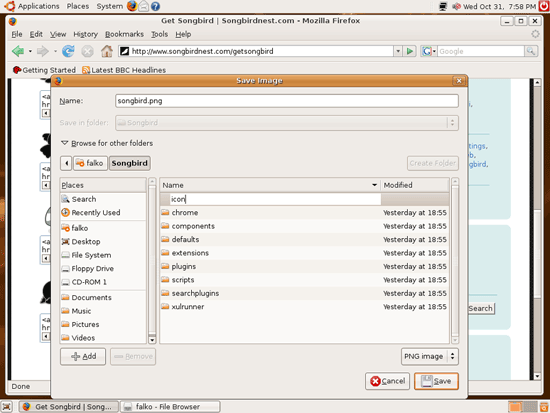 I'm using the username falko here as my regular desktop user. Replace it with your own username where appropriate. Unfortunately there's no Ubuntu package (yet) for Songbird, therefore we have to download Songbird directly from the Songbird web site, install it, and create a menu entry for it (in the Applications > Sound & Video menu). Fortunately the Linux package from http://www.songbirdnest.com/download is a binary, so we don't have to compile anything. 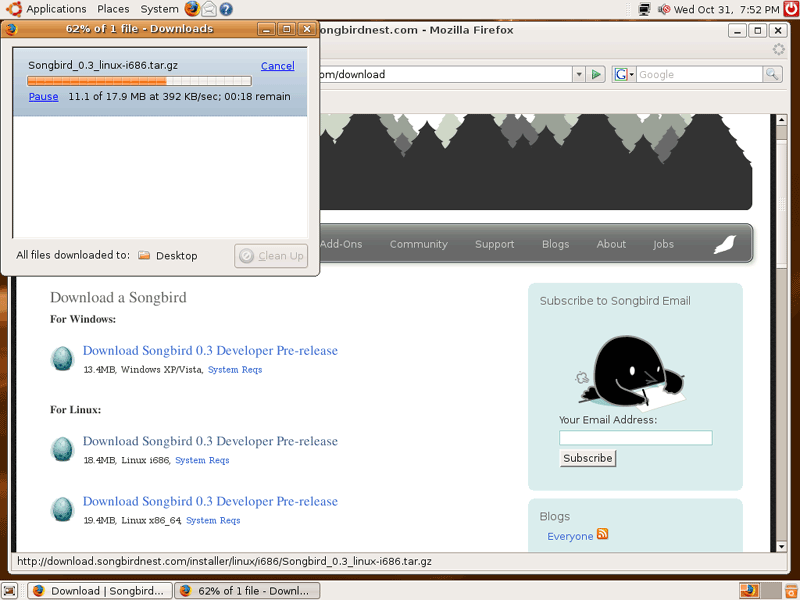 I will install Songbird in a subdirectory of my home directory, /home/falko/Songbird. 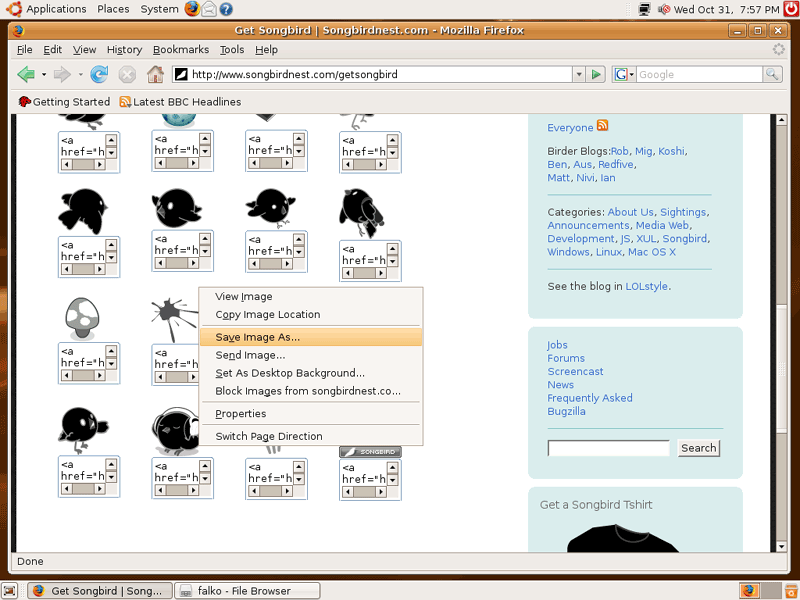 This directory will contain everything concerning Songbird (even the menu icon), so if you decide to delete/move Songbird, just delete/move this directory. That's it - Songbird is already installed and ready to be used. Now let's create a menu entry for it. Now that we have an icon, let's create a menu entry for Songbird.